As of a little over a month ago, we announced all of our 2015 College Scholarship recipients. As the fall semester progresses, we will continue to feature our individual scholarship recipients, so be sure to sign up for the newsletter to get notified when new blog posts are published. Previously, we’ve featured Mallory, Mary Beth, and Erin. This week, meet William! Will has been accepted to the University of Alabama for the fall of 2015 to begin his undergraduate studies. He is also excited to officially be a part of the university’s wheelchair basketball team. Will was born with spina bifida, but he has always had the drive to participate in team sports. He also feels it’s important to get plenty of exercise, especially with being in a wheelchair. He feels that he’s learned many lessons from participating in wheelchair basketball through a local Paralympic training facility, including perseverance and strength of character. It’s also helped him form close bonds and make new friends. When he’s not playing basketball, Will is very involved with his church, bible studies, and various student organizations such as FBLA (Future Business Leaders of America) and First Priority. He is also a 3-time named NWBA academic All-American. We’re sure that he will have a successful time at the University of Alabama both on and off the court, and we’re happy to be able to contribute in part to his first year of college. 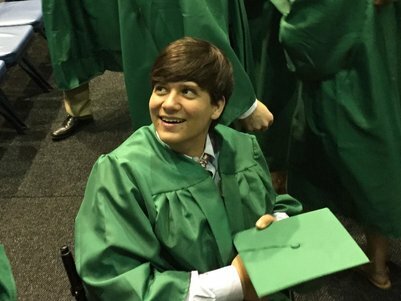 We are honored to offer an annual scholarship program to help those with spinal cord injuries, spina bifida, transverse myelitis, ostomies (ileostomy, urostomy, and/or colostomy), and/or neurogenic bladder. We know paying for college isn’t easy these days, and we also understand that there can often be extra financial difficulties for aspiring students who live with these conditions. To learn more about 180 Medical’s annual scholarship, visit www.180medical.com/scholarships. Meet one of our seven 180 Medical Scholarship recipients of 2015.